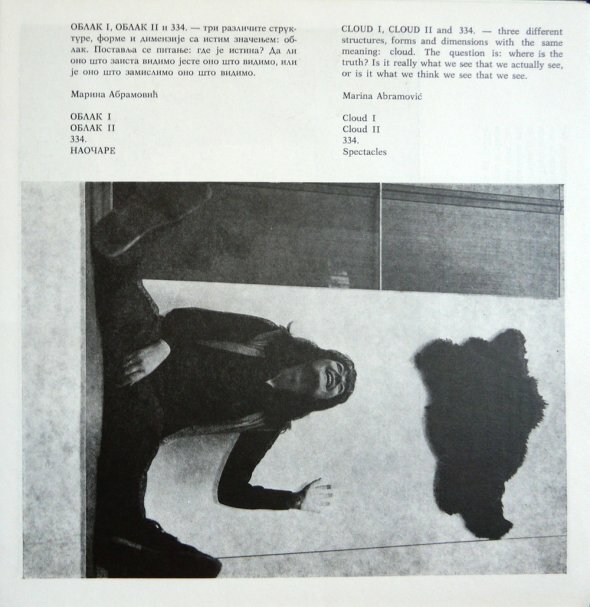 Oktobar 75: Cinema Notes by Lutz Becker, movie still, portrait of Dunja Blažević. 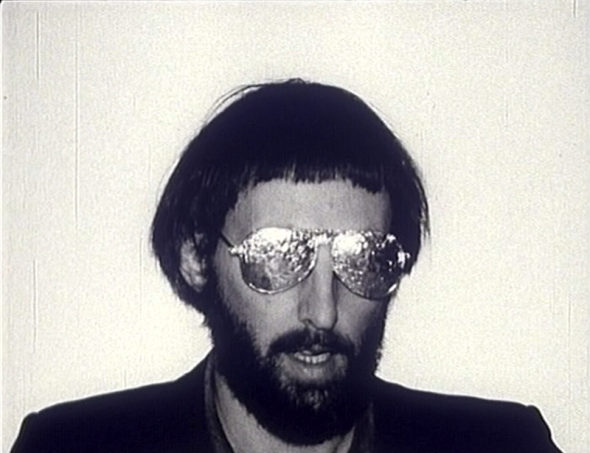 Oktobar 75: Cinema Notes by Lutz Becker, movie still, portrait of Jerko Denegri. Oktobar 75: Cinema Notes by Lutz Becker, movie still, portrait of Zoran Popović. 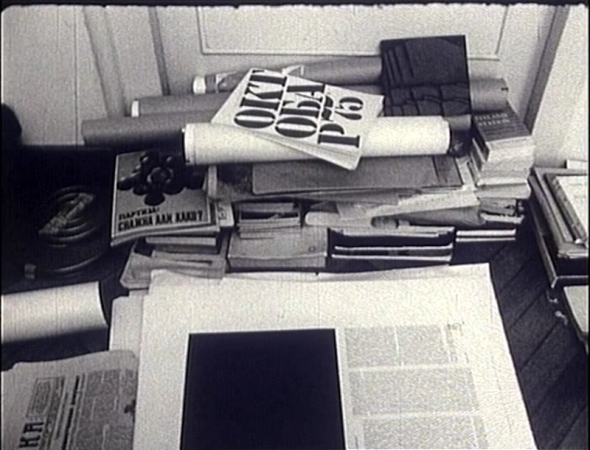 Oktobar 75: Cinema Notes by Lutz Becker, movie still, office table with Oktobar. Oktobar 75 shown at the exhibition The Case of Student Cultural Centre by Prelom kolektiv, 2009. 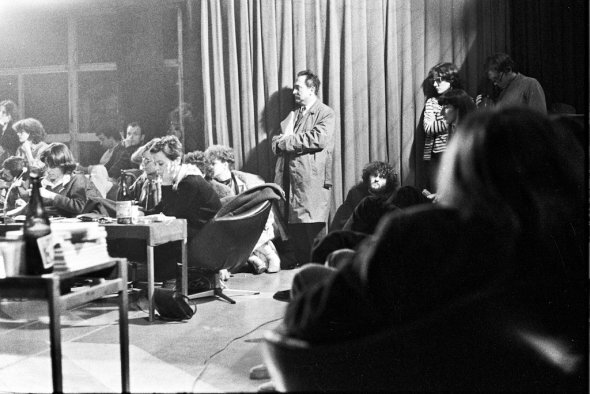 The Oktobar events at SKC1 presented vital moments of linguistic-political forming and development of New Art Practices2 in Belgrade during the first half of the 1970s. 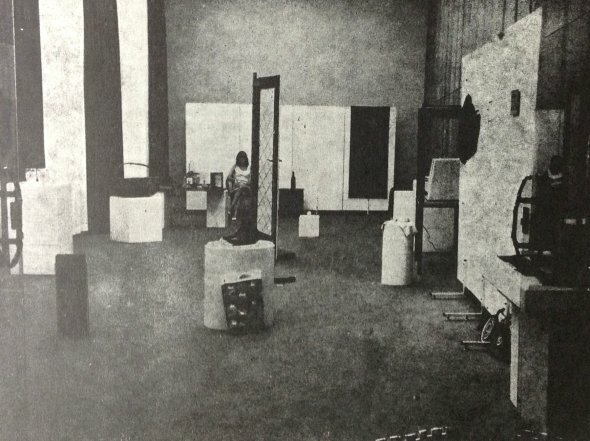 SKC gallery was regularly organizing alternative “Oktobars” as a sort of oppositional, counter-cultural activity to the official art event called October Salon, which contained the conventional (bourgeois) prerogative of a salon, and was following l’art pour l’art (“art for art’s sake”) trends of late modernist aesteticism. At that time, October Salons were being held annually at the Modern Gallery located in a former garage on Masarykova Street, opposite to the SKC building and in a sense, SKC’s Oktobars literally operated as a sort of “door-to-door” counter-salon. 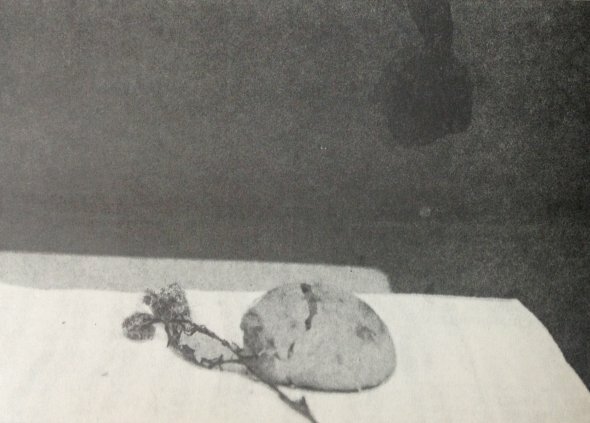 Oktobar 75 was (self-)organized as a participatory project in which the community of cultural workers—art critics, curators, and artists gathered around SKC gallery—decided to publish a series of individual critical statements on the concept of self-managing art. 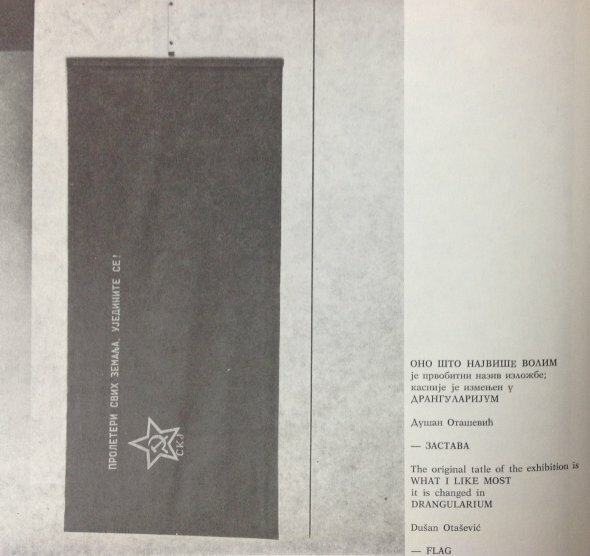 For the opening night, the gallery was left empty: the only “object” was small table, with a pile of stapled A4-size publications with the designed print Oktobar 75 on the front page (the print can be seen among the pictures accompanying this article). In other words, what makes this project a counter-exhibition is the very decision by SKC’s artistic community to not to show the artworks as objects of contemplation, but to use the gallery space to present their individual statements and texts that comprise the hectograph notebook, Oktobar 75. The topic of art and self-management corresponded with the ideological program of Workers’ Self-Management that was part the official state politics of socialist Yugoslavia, initially developed by the prominent politician, economist, and intellectual Edvard Kardelj.3 However, counter to all possible “literal” translations from the sphere of politics to the sphere of art and vice versa, the issue of self-management art in the Oktobar 75 debate didn’t remain closed within the circle of ongoing discussions about workers self-management in state institutions and in the production sector, which were often occupied by bureaucratic questions. 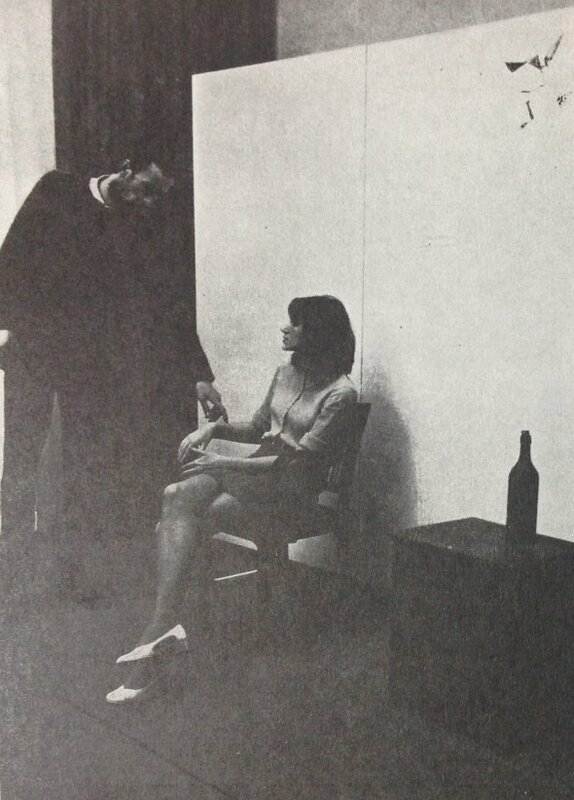 It is equally worth mentioning that the Oktobar 75 debate hasn’t been considered a straightforward, frontal critique of the state (cultural) apparatus on behalf of an alternative art practice. 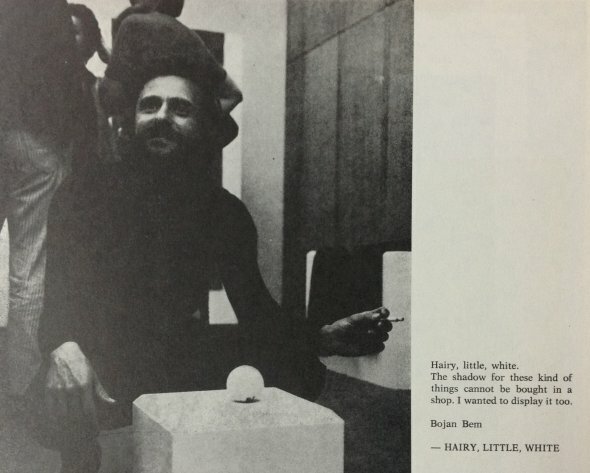 The issue of self-management actually evolved here into the larger debate on the politicization of cultural activity, and the experimental change of the language of art with the emergence of the new paradigms of Conceptual art and New Art Practice. 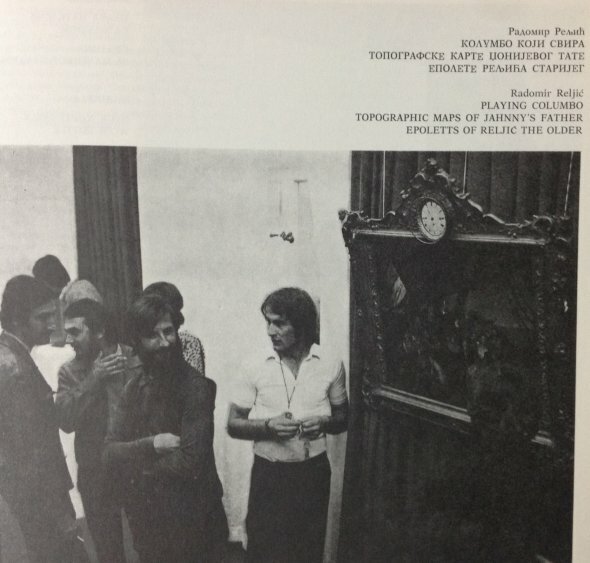 Many of the texts published in Oktobar 75 explored the relationships between the autonomy of art and artistic engagement in specific ideological and institutional constellations along the line of political division of the world into the socialist East and the capitalist West, and their dominant ideological worldviews about what art should be and what culture should represent. Taking into account the specificities of Yugoslav self-managed society, but also its shared viewpoints with sometimes Eastern, sometimes Western ideologies, the real cultural political target of Oktobar 75 became the bourgeois institution of art and its preservation within “the official” institutions of culture, mostly located centrally in Belgrade, as the capital of former Yugoslavia. Socialist self-management was applied rather generally and routinely in the actual practices of various artistic associations and public cultural institutions. The institutions at the time enjoyed the program of a “relative autonomy of culture” and the official state policy can be described in terms of a generalized modernist tendency that was often defined as socialist modernism in the field of visual art. 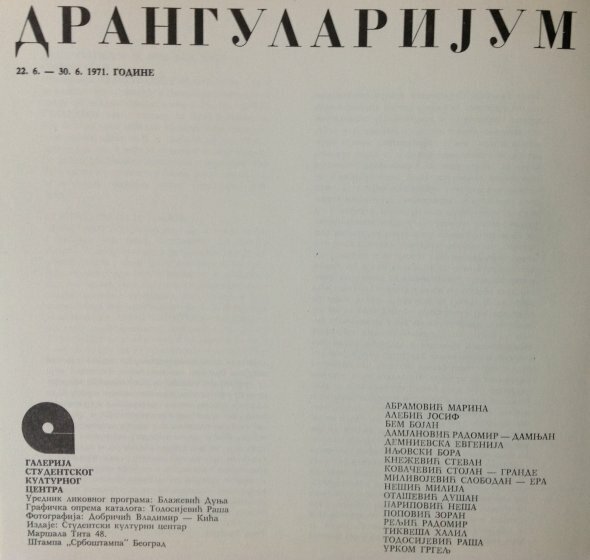 The Oktobar 75 collection of statements showed how nominally progressive socialist modernist tendency advocated by the Yugoslav state in the very practice proved itself as the conservative one. Oktobar 75 directly criticized the aspect of art management that neutralizes the political through the use of abstraction and modernist abstract forms, enclosed into the traditional bourgeois structure of the “admiration of precious objects.” Let’s hear some voices of the original participants of the event. Art should be changed! As long as we leave art alone and keep on transferring works of art from studios to depots and basements by means of social regulations and mechanisms, storing them, like stillborn children, for the benefit of our cultural offspring, or while we keep on creating, through the private market, our own variant of the nouveau riche or Kleinbürger, art will remain a social appendage, something serving no useful purpose, but something it is not decent or cultured to be without. THE SELF-MANAGING SYSTEM OF FREE EXCHANGE AND ASSOCIATION OF LABOUR THROUGH SELF-MANAGING COMMUNITIES OF INTEREST REPRESENTS A NEW NON-OWNERSHIP RELATIONSHIP that examines and revises the existing models of artistic work and behavior. The ballast of the past is such that we, who have different social circumstances today, and therefore greater possibilities for ANOTHER ART, are incapable of understanding correctly society’s need for art. Even though we have perceived that the classical antagonism of class provenance concerning the division into two “types” of labour should be overcome, even though art has the status of an equal-footing phenomenon in society, that same art, endangered and confined for centuries, is showing its old class face again. Only when we really come to understand that art is a SOCIALLY RESPONSIBLE ACT, the same as any other social act, shall we be able to say that art has finally been released from its decorative authority. A continual wish for a total autonomy of art is nothing else but its effort to attain a self-conscious and efficient functioning within the framework of its own language. It is only when functioning as a critique and self-analysis of its own language that art is capable of raising the issue of the analysis and critique of social practice and demanding its change. Art that celebrates victory stops fighting. Art must be negative, critical, both towards the external world and in relation to its own language, its own (artistic) practice. It is pointless and hypocritical to be engaged, to speak and act in the name of some humanity, of mankind, political and economic freedoms, and to remain passive on the other hand in relation to the system of “universal” artistic values, the system that is the basic prerequisite of the existence of artistic bureaucracy, and therefore of the outrageous robbery perpetrated by star artists. The alternative October events at SKC, as we may conclude from the reading of excerpts from the statements of the participants of Oktobar 75, have functioned not only as a response of one exhibition to another one (i.e. 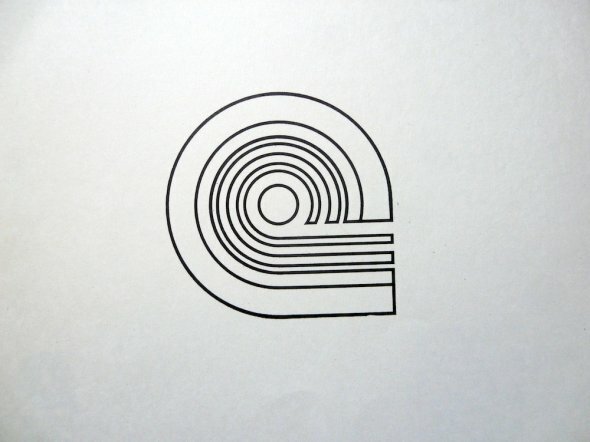 the larger October Salon exhibition), or as an act of confrontation between the “official” and “alternative” cultural spheres, but also as an effort at building a different perspective on art and artistic activity, which is based on the processes of democratization of the production and reception of art. 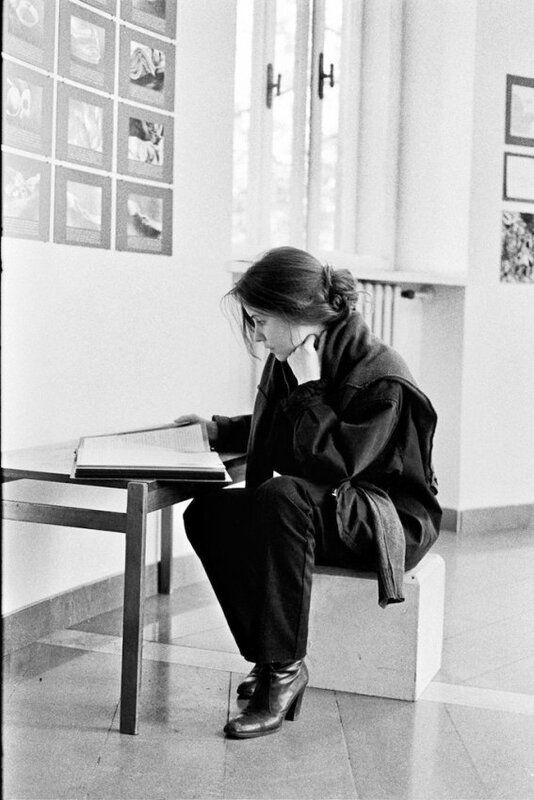 Art critic and curator Jasna Tijardović, who advocated different informal and anti-disciplinary behavior in the gallery space,4 metaphorically named this new, democratic practice of art the utopia of hectographs,5 which for her became a brand mark of the art of SKC, and of many other critical approaches within Conceptual art. The utopia of hectographs would thereby encompass all of those artistic forms that emerged from the student protests and the corpus of “poor art,” which refused to be a social luxury or a precious object, striving instead to become a reflection of one’s (political) position or the attitude. 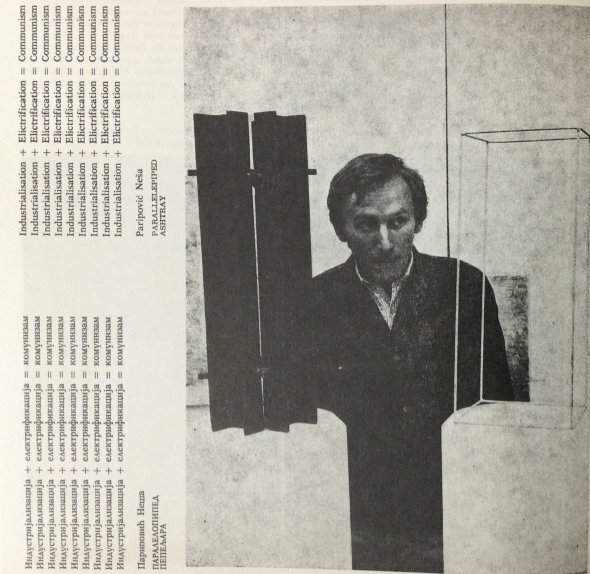 Oktobar 75—a declaratively critical counter-exhibition—can be seen as a window for looking at one of SKC’s many “characteristic faces” cohabiting its permeable institutional walls. 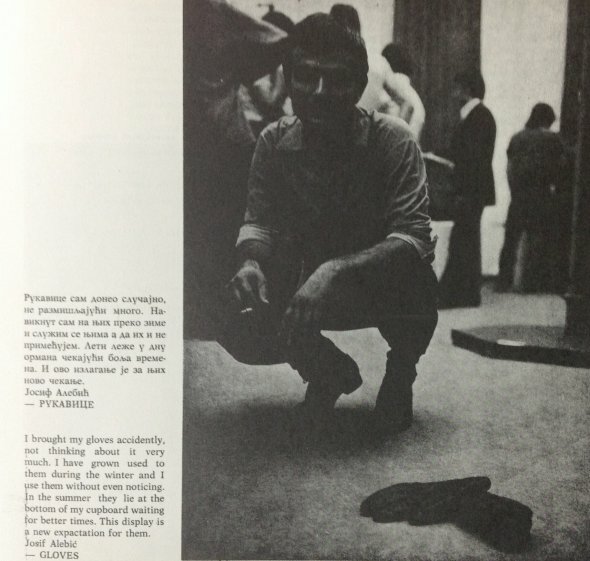 It shows the “face” of the critique of the Yugoslav socialist state from the leftist, Marxist positions that emerged in the circles of the student protests of 1968 with the slogan (which is tautological at the first glance): fighting socialism with socialism. 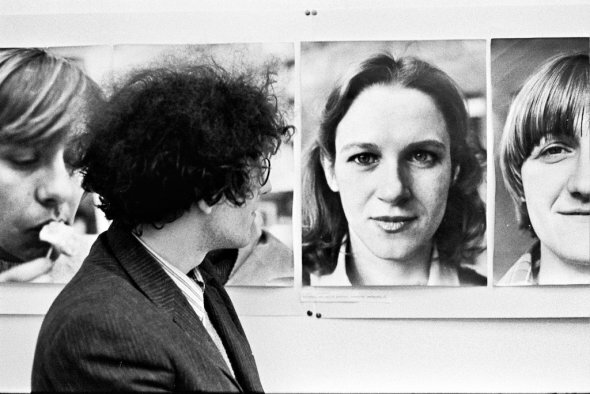 That characteristic face of criticism can be recognized in the institutional politics of SKC’s first director, Petar Ignjatović, and the artistic politics of Dunja Blažević, the first editor of the SKC gallery art program. 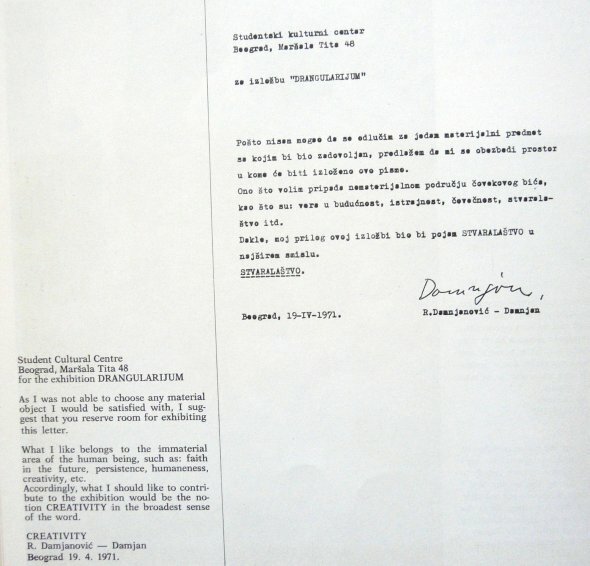 According to the protagonists of the SKC scene, some of the artists and critics refused Blažević’s proposal for Oktobar 75 as “a form of collaboration with the regime in power” (since that was a time when the duty of citizens was to express their opinion about self-management as “the optimal social system” practiced in various types of institutions, from factories and schools to cultural institutions), but numerous actors of the SKC community accepted the challenge, using the theme as a starting point for exploring some fundamental issues related to the social role of art. Oktobar 75 was documented in the form of a publicly distributed notebook—a hectographed reader with texts written by all participants on the project in the form of proclamations or statement-essays. Some of these texts were republished in the journal Književna reč, and provoked a public polemic in the official press. 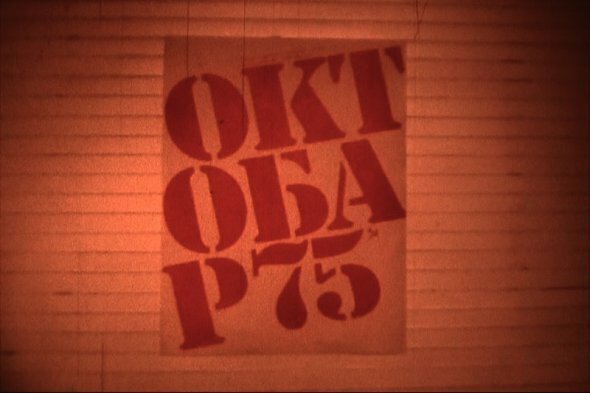 Moreover, some of the texts in Oktobar 75 were presented and performed (read) by their writers in the Vertovian documentary Cinema Notes by German director Lutz Becker. 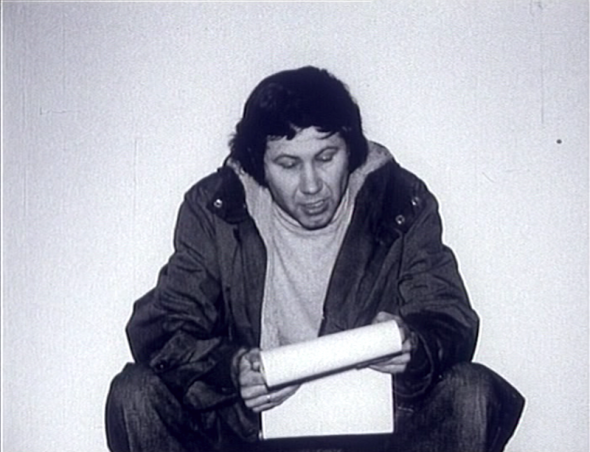 In the film, Becker portrays the artists, curators, and art critics as cultural workers by juxtaposing the performance of individual statements written for the reader of Oktobar 75 with other narratives or gestural expressions of various people involved in SKC, including some who had refused to participate in Oktobar 75. The film speaks of SKC as a production site, a gallery-as-a-factory that, instead of an idealistic picture of modernization and industrialization with its glorification of production and its ideology of hyper-productive work, enthusiastically produces the ideology of not-doing and not-working—the fetish of contemplation. The translated version of the script Oktobar 75 from the notebook in the exhibition SKC in ŠKUC: The Case of SKC in the 1970s by Prelom Kolektiv can be downloaded here: prelomkolektiv.org/pdf/catalogue.pdf. 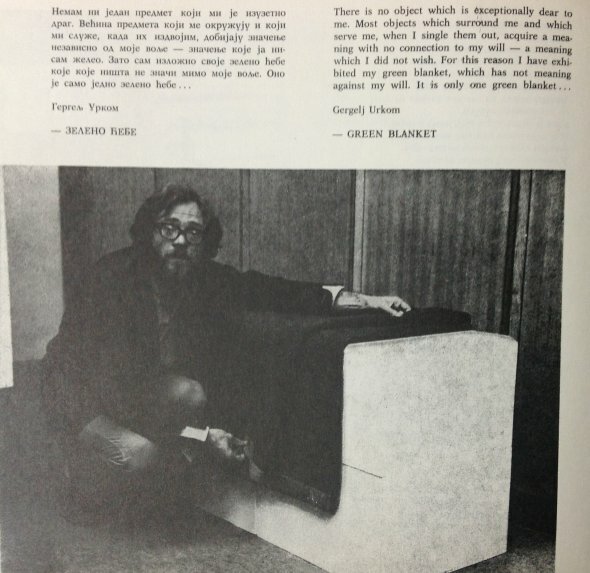 My essay with the title “SKC as a Site of Performative (Self-)Production: October 75 – Institution, Self-Organization, First-Person Speech, Collectivization” closely examines the political intervention of the SKC in the institutional landscape and the art system of the time by using the counter-exhibition Oktobar 75 as the case study. The essay, available in both Croatian and English, was originally published in the Zagreb-based journal Život umjetnosti and can be downloaded here. 1 Starting in 1972, Oktobar events took place annually over the month of October, and were diverse in format and content. 2 The term New Art Practices was introduced by art historian Ješa Denegri, who closely cooperated with the community gathered around SKC in Belgrade. For the further explanation of the term, see my introduction text into the exhibition chronology: The Student Cultural Centre (SKC) as the Art Scene (especially the footnote 3). 3 For better understanding of Kardelj’s position I’m quoting one of his famous statements: “As far as Yugoslavia is concerned, the choice is not between multiparty pluralism or a one-party system, but rather between self-management, i.e. the democratic system of pluralism of self-management interests, or the multiparty system which negates self-management. […] The pluralism of interests is incomparably closer to the individual and immeasurably more democratic than any form of political party pluralism which alienates society as a whole from the real man and citizen, even though it decides ostensibly on behalf of the citizen.” Edvard Kardelj, Self-Management and the Political System (Belgrade: Socialist Thought and Practice, 1981). A recent study on Yugoslav self-management available online: Gal Kirn, From the Primacy of Partisan Politics to the Post-Fordist Tendency in Yugoslav Self-Management Socialism, http://p-dpa.net/wp-content/uploads/2014/10/Kirn-post_fordism_and_its-discontents.pdf. 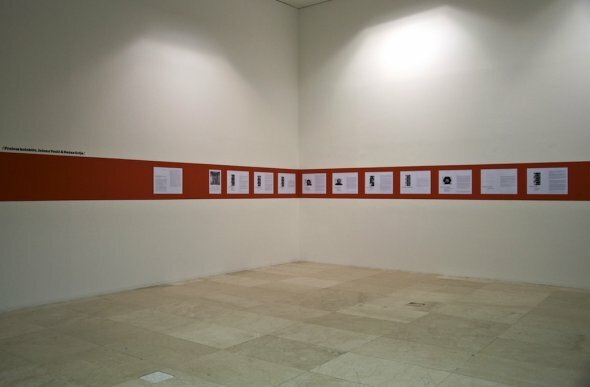 4 For contextualisation of Tijardović’s position see my introduction text to the exhibition chronology: The Student Cultural Centre (SKC) as the Art Scene. 5 Jasna Tijardović, the conversation with the author conducted on the occasion of the research of Oktobar 75 in August 2012. 6 Dunja Blažević was the curator of the SKC gallery until the end of 1975. 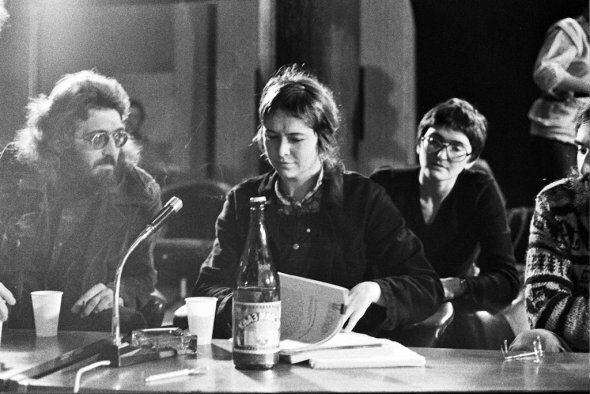 In 1976 she became director of SKC, but also participates in different ongoing programs (see the chronology on Comrade Woman conference as an examples). 7 The art and exhibition policy of Biljana Tomić can be traced in this archive through the projects of promotion of New Art Practice in the Tribune of Youth (Novi Sad), BITEF Festival (Belgrade), early exhibitions in Museum of Contemporary Art (with Ješa Denegri), participation in various SKC programs before she became the head of the SKC gallery in 1976 and later, through her exhibition projects and participation with Group 143. 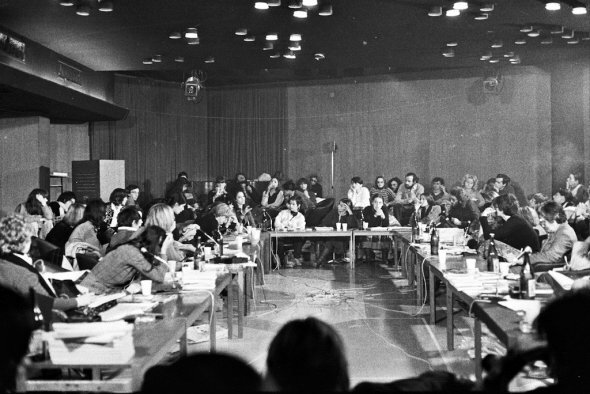 Participants: Helen Roberts, Parveen Adams, Jill Lewis, Diana Leonard-Barker (United Kingdom); Naty Garcia, Christine Delphy, Catherine Nadaud, Catherine Millet, Françoise Pasquier (France); Nil Yalter (France-Turkey); Ewa Morawska (Poland); Judit Kele, Lovas Ilona (Hungary); Dacia Maraini, Carla Ravaioli, Chiara Saraceno, Anne-Marie Boetti, Manuela Fraire, Annabella Miscuglio, Ida Magli, Adele Cambria (Italy); Alice Schwarzer (West Germany); Dramušić, Rada Đuričin, Dragan Klajić, Anđelka Milić, Miloš Nemanjić, Živana Olbina, Borka Pavičević, Vesna Pešić, Milica Posavec, Vera Smiljanić, Vuk Stambolović, Karel Turza, Ljuba Stojić, Dunja Blažević, Jasmina Tešanović, Biljana Tomić, Danica Mijović, Žarana Papić, Goranka Matić, Bojana Pejić (Yugoslavia–Belgrade) Vesna; Ida Biard, Gordana Cerjan-Letica, Nadežda Cacinović-Puhovski, Slavenka Drakulić-Ilić, Ruža First-Dilić, Božidarka Frajt, Đurda Milanović, Vesna Pušić, Lidija Sklevicki, Jelena Zupa (Yugoslavia–Zagreb); Mira Oklobdžija, Slobodan Drakulić (Yugoslavia–Rijeka); Katalin Ladik (Yugoslavia–Novi Sad); Nada Ler-Sofornić, Zoran Vidaković (Yugoslavia–Sarajevo); Silva Menžarić (Yugoslavia–Ljubljana); Rada Iveković (Belgrade–Rome). 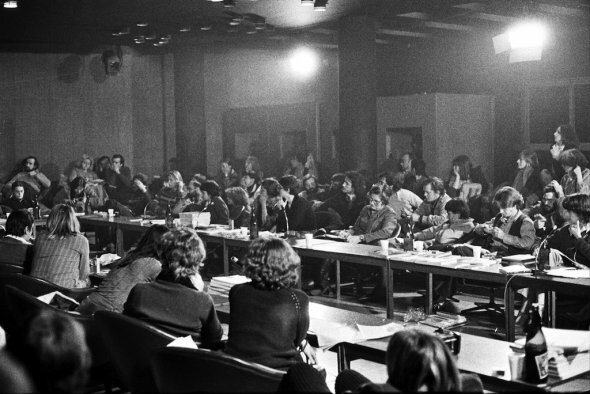 The international conference Comrade Woman: Women’s Question – A New Approach? (Drug-ca Žena: Žensko Pitanje – Novi Pristup?) 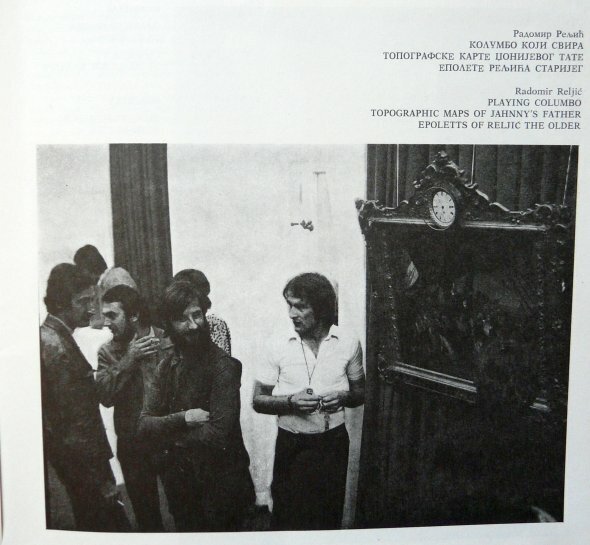 took place at the Student Cultural Centre (SKC), Belgrade, in 1978. 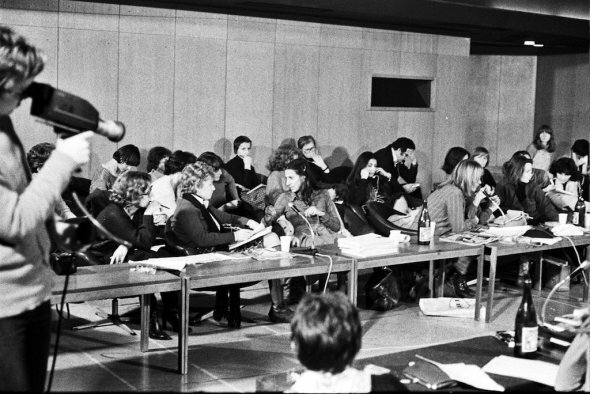 It was the first autonomous second-wave feminist meeting in former Yugoslavia, and beyond—the first conference of this kind initiated in non-Western-European context, and in a socialist country. 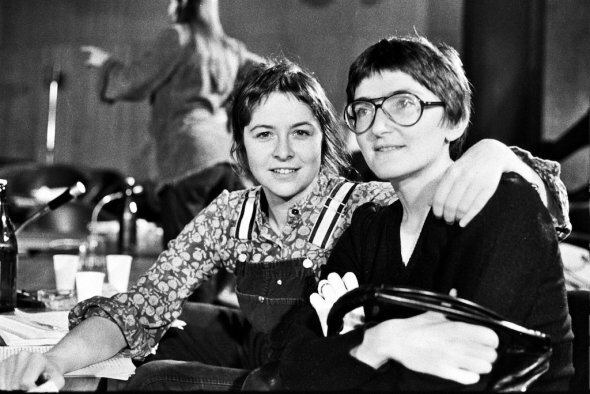 Comrade Woman gathered a number of significant feminist theorists and artists from both sides of “the curtain,” and especially from various different cities in Yugoslavia. The discussions that took place in the different venues and spaces of SKC were accompanied by a thematic art program of exhibitions, films, and video-art screenings. The event was initiated by Žarana Papić, a young feminist and anthropologist from Belgrade, who curated the conference program in collaboration with Dunja Blažević (who was then the director of SKC), and was predominantly focused on social-political issues. 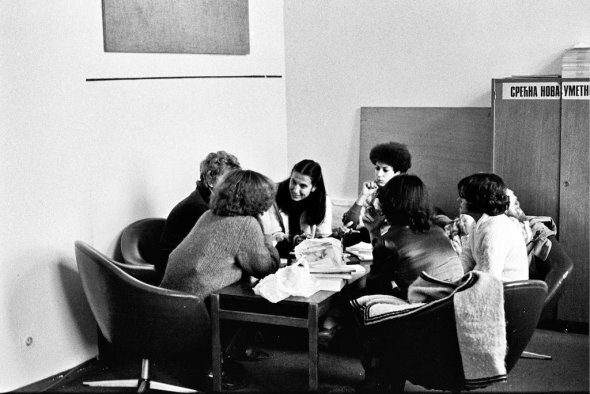 The panel discussions were developed in three thematic threads: 1) women, capitalism, social change; 2) women’s culture; 3) women, capitalism, revolution. 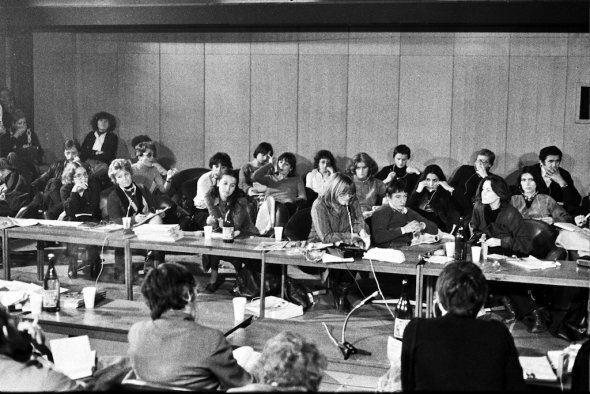 The closing session called Position(s) of Woman in the Self-managed Socialist Society was dedicated to specific local issues and feminist struggles in the Yugoslav political context. 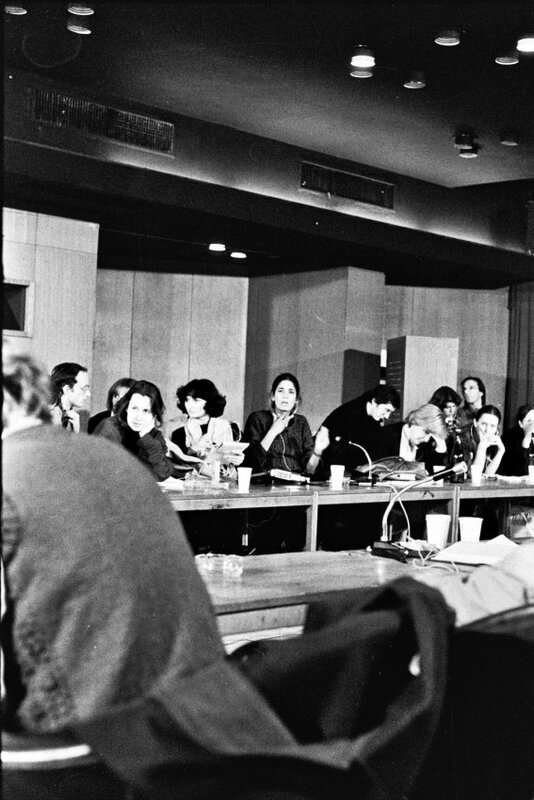 According to the recollections of participants, the initiation of the conference was also attributed to several academic intellectuals who were colleagues of Papić: Nada Ler-Sofornić, Vesna Pusić, Lidija Sklevicki, and Rada Iveković. The visual arts program that accompanied the conference was curated by Biljana Tomić (who was head of the SKC gallery at the time) and Dunja Blažević, with the assistance of a younger art historian Bojana Pejić. 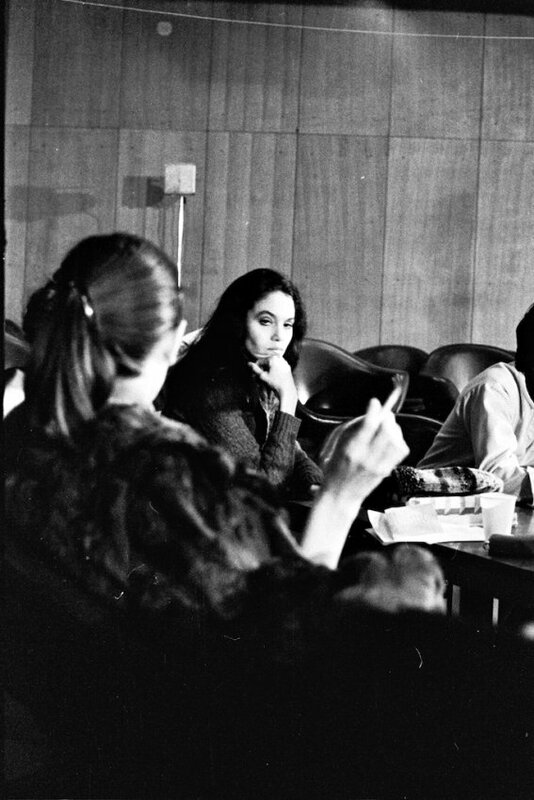 Before Comrade Woman, the only artistic event taking place in SKC that could be explicitly designated as feminist was the discussion Women in Art, organized within the fourth edition of April Meetings – The Festival of Extended Media in 1975 (the year was celebrated as the International Year of Women worldwide). The exhibition program included two documentary displays. One was The Yugoslav Woman in Statistics (Jugoslovenska žena u statistici), conceptualized through the selection of different data “portraying” the position of women in Yugoslavia; interestingly enough, the data was collected from official state media, such as the annual statistics report (Statistički godišnjak) and the similarly titled publication A Woman in Statistics of Yugoslavia (Žena u statistici Jugoslavije), published by the state organization called the Conference for Social Activity of Women (Konferencija za društvenu aktivnost žena)—the main organ of the party for discussing women’s issues in the official political context. Another documentary display was presented under the title The Sexism That Surrounds Us (Seksizam oko nas), comprising a selection of excerpts from Yugoslav press that illustrated the thesis about women being dominantly perceived as sexual objects, and their social role being reduced to motherhood and housekeeping, despite the nominally progressive, egalitarian and socialist tendency of Yugoslav society at the time. The exhibitions included a presentation of illustrations by the French cartoonist Claire Bretécher, which were also occasionally published in Zagreb-based women review Modni Svjet (Djurdja Milanović was the editor in chief, and one of the participants of the conference), and Portraits of Women, an exhibition by Goranka Matić that presented in the SKC gallery. 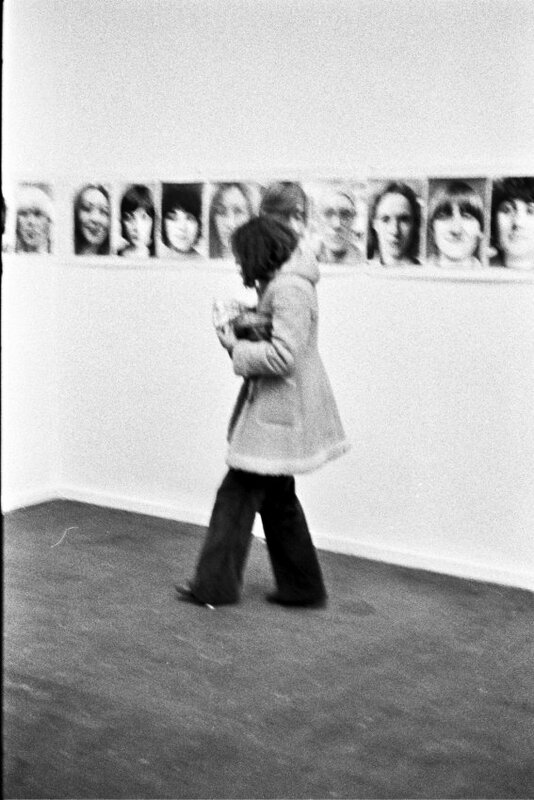 The exhibition by Matić included more than forty photographs of women in the format of black-and-white portraits (50 x 60 cm), which were shown along the gallery walls. The process of photographing was conceptualized as a docu-fiction—in parallel to being photographed, women could decide how they would like to be presented by answering the following four questions: How old are you? ; What name you would like to have/get? ; Where would you like to live? ; What occupation do you desire? Their answers accompanied the portraits in the form of photo captions. The “sample” of photographs presented women at various stages of life, with different experiences, professions, and cross-cultural backgrounds. The youngest participants were in the stage right after their first menstrual cycle, while the oldest participants were sometimes over eighty years old. In a conversation with Matić, she revealed that the oldest “commrade woman”, who was photographed selling fruits on the Green Market, offered quite a curious answer to the question of employment, stating that she preferred to be occupied by nothing—that her desired “job” would be to just sit and rest. This particular “piece of data” or personal statement, among other things, also reveals the specific character of Matić’s questionnaire—the fact that it was about desires and imagination of a “better world,” rather than about the “scientific objectivity” of the data collected. The data presented was almost entirely fictional and was meant to address the actual desires of the subjects of the questionnaire. It was only the information about the participants’ age and the personalities that emerged from the photographs that stayed on the side of documentary. 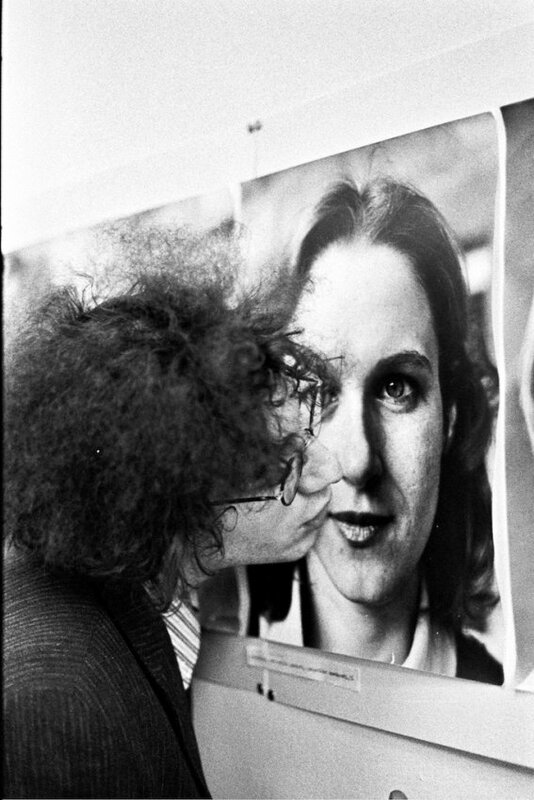 Matić, today one of the most important photographers working in Belgrade and exhibiting internationally, was at the time a young art historian who came up with the concept, and realized the exhibition in collaboration with Nebojša Čankarović, who was employed as the photographer of SKC at that time. In that sense, the exhibition can be also explored in terms of a curator-artist relation, or in the context of “delegated photography” and participatory art/curatorial practice. Matić is also being photographed and represented in the frieze of the Portraits of Women. Her fictional name was Ira Fasbinder, and she presented herself as the thirty-year-old Madam of the Brothel in Budapest. In the photo we see Ira, a young woman with short hair, dressed in a tie, a neat shirt, waistcoat, and jacket, with a cigarette hanging from the corner of her mouth. 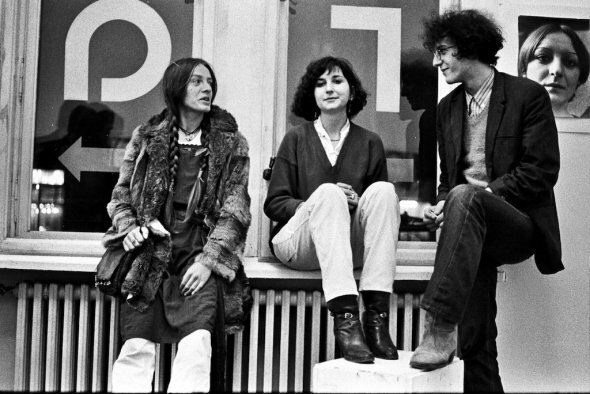 Others who were photographed included some of the participants of the Comrade Woman conference, among them Dunja Blažević, Ljubica Stanivuk, and Žarana Papić. The film and video screening event included presentations of following works: La Roquette, Prison de Femmes (1974) by Nil Yalter, Judy Blum, and Nicole Croiset; The Apple Game (1977) by Vera Chytilová; The Living Truth (1972) by Tomislav Radić; The Night Porter (1974) by Liliana Cavani; Aggettivo Donna (1972) by Rony Dapulo; Il Rischio Vivere (1977) by Annabella Miscuglio and Anna Carini; Talking about Love (1974–75, video) by Jasmina Tešanović; Fughe Lineari (1975), Puzzle Therapy (1976), Rony, and Paola by Annabella Miscuglio; La Bella Addormentata nel Bosco (1978), Mio padre amore mio (1976), and Aborto: Parlano le donne (1976) by Dacia Maraini. Papić edited the preparatory seminar materials in Serbo-Croatian and English, which included texts by Marxist social feminists (Alexandra Kollontai, Evelyn Reed, and Sheila Rowbotham), feminist-Marxist theoretical psychoanalyists (Shulamith Firestone and Juliet Mitchell), theorists of sexual difference (i.e., Luce Irigaray), and a series of texts on the emergence of the feminist movement in Italy. 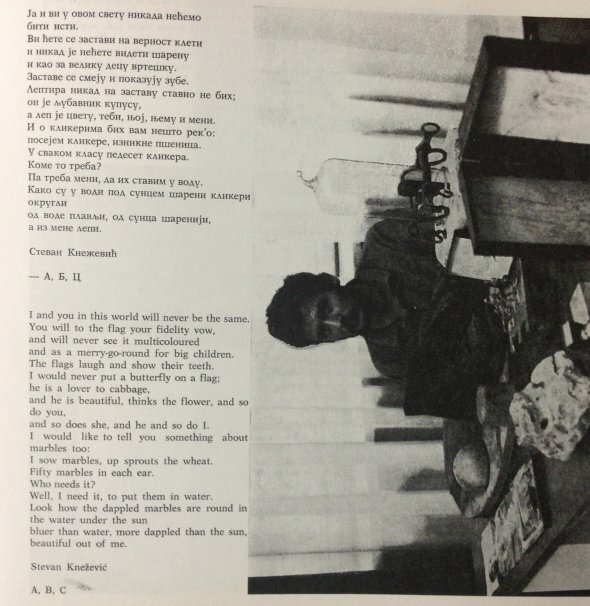 The reader also included essays by Yugoslav feminists previously published in periodicals such as Vidici or Žena. The conference Comrade Woman opened up a cluster of important debates facing the long (often conflictual) history of Marxism and feminism, especially within the socialist context, including both the history of people’s struggle for emancipation and of official state politics in real socialist countries. In the Yugoslav context, the issue of women’s liberation is considered to be solved within the paradigm of universal emancipation; for example, the feminist-communist organization Women’s Anti-Fascist Front, or AFŽ, was self-abolished in 1953, claiming that their “historical task” was being performed and that the specific “women’s issues” were delegated to the state party organization called the Conference for Social Activity of Women—in general, the issue of the liberation of women was considered to be “solved.” However, in Yugoslav context the difference between the nominal political theory or state propaganda in favor of women’s rights, and the actual realization of these ideas in everyday reality remained strikingly visible. Despite of social state investments in women’s liberation through different supports such as education, equal right to work, organized support for reproductive and family care (free medical service, kindergartens, and education), the Yugoslav socialist culture remained essentially patriarchal —the “bourgeois morality,” with all its taboos and constraints remained to loom on the path of “universal emancipation.” In that sense, the conference resulted in certain conflicts between the “official” and “alternative’ spheres,” between the so-called state and autonomous feminisms. In this particular case, “autonomous feminism” was accused by the state media for anarcho-liberalism and new-leftism as reactionary and politically confusing “imports” from the Western capitalist democracy. The debates were conducted in different media and educational contexts, most vividly in the Belgrade magazine Student, which regularly followed and reviewed the activities of SKC. 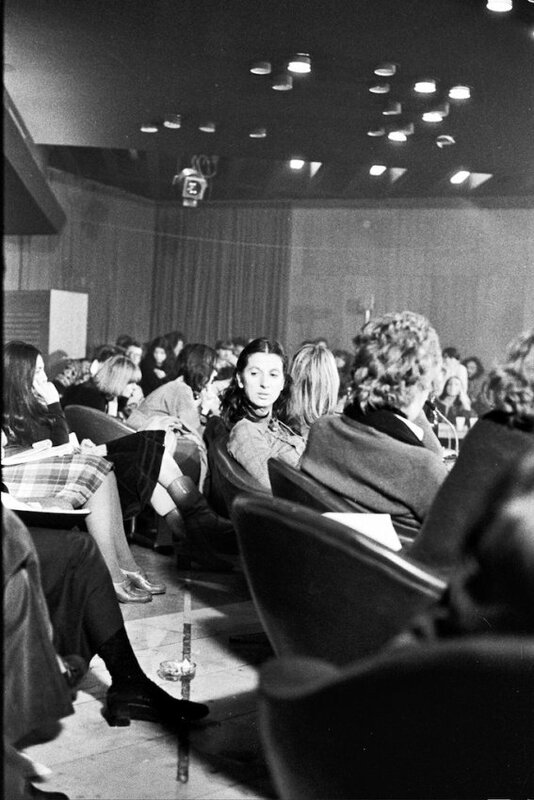 Critical positioning toward the Yugoslav “state feminism” at the Comrade Woman conference is performed from the similar angle as was the artistic critique of the “state art’ in October 75 and many other socially engaged SKC projects—Comrade Woman was considered as a form of “internal critique” of the Yugoslav system, stemming from the feminist, but also from socialist premises. Participants in the discussion Women in Art were: Gislind Nabakowski, Urlike Rosenbach, and Katherina Sieverding (Dusseldorf); Natalia LL (Wrocław); Iole de Freitas (Milan); Ida Biard, and Nena Baljković/Dimitrijević (Zagreb); Irina Subotić, Jasna Tijardović, Jadranka Vinterhalter, Biljana Tomić, and Dunja Blažević (Belgrade). 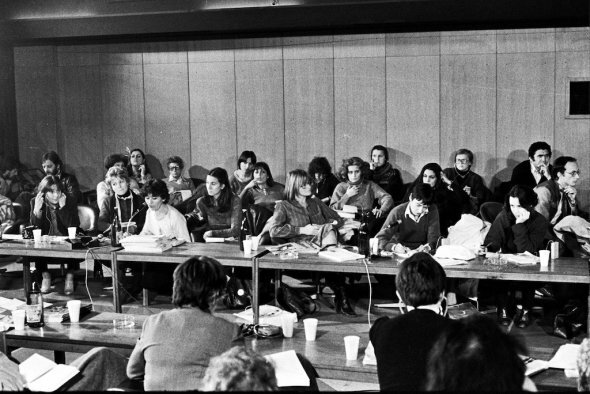 April Meetings were established on the occasion of April 4, 1972, also Students’ Day in Belgrade. 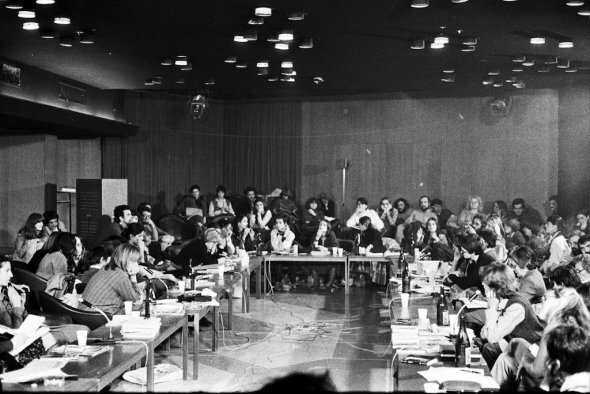 In the first years, between 1972 and 1977, the festival carried the name Festival of Extended Media with the goal of overcoming the existing institutional borders between different arts, and fostering interdisciplinary approach and experimental character of New Art. The facts and details related to the exhibition Portraits of Women were “reconstructed” in a conversation I had with Goranka Matić, on the occasion of writing of this article. The description is taken from the transcript of the 40th Anniversary Celebration of the Conference Comrade Woman, organized in Sarajevo by Foundation CURE in 2008. The transcript, edited by Danijela Dugančić-Živanović, was published in the special issue of the journal Pro-Femina, and was edited by Jelena Petrović and Damir Arsenijević in 2011.